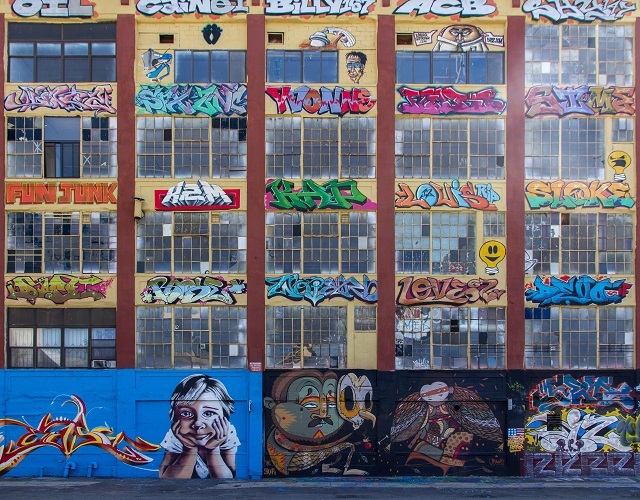 A New York real estate developer was ordered to pay millions to a group of graffiti artists for painting over their artwork on his own property after a federal judge deemed their work "protected public art." Graffiti at the 5Pointz complex in Long Island City, Queens, in 2001. The property owner had the murals erased in 2013, and a judge ruled on Monday that 45 of them had enough artistic stature to merit being protected. 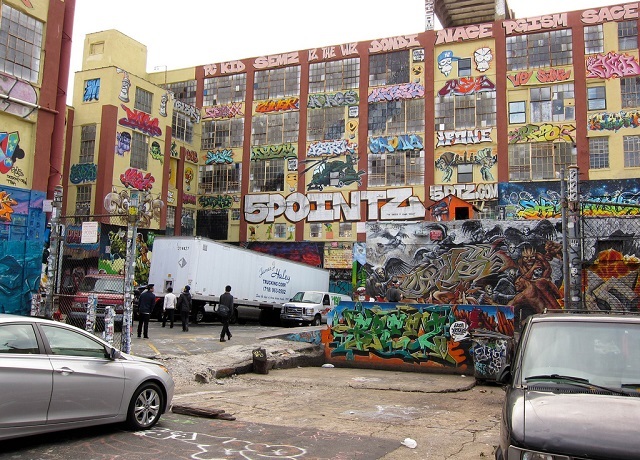 Ruling that graffiti -- a typically transient form of art -- was of sufficient stature to be protected by the law, a federal judge in Brooklyn awarded a judgment of $6.7 million on Monday to 21 graffiti artists whose works were destroyed in 2013 at the 5Pointz complex in Long Island City, Queens. 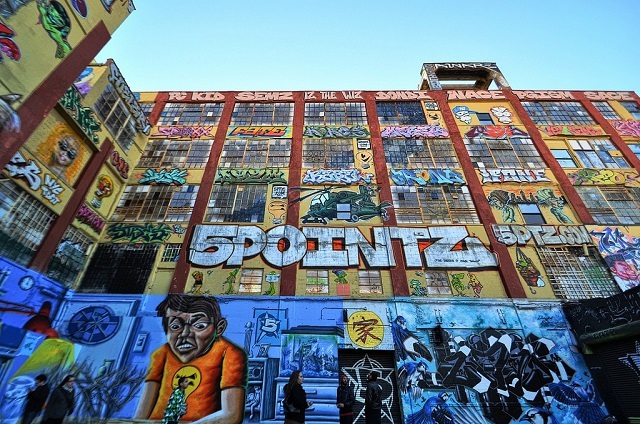 In November, a landmark trial came to a close in Federal District Court in Brooklyn when a civil jury decided that Jerry Wolkoff, a real estate developer who owned 5Pointz, broke the law when he whitewashed dozens of swirling murals at the complex, obliterating what a lawyer for the artists had called "the world's largest open-air aerosol museum." Though Mr. Wolkoff's lawyers had argued that the buildings were his to treat as he pleased, the jury found he violated the Visual Artists Rights Act, or V.A.R.A., which has been used to protect public art of "recognized stature" created on someone's else property. In an odd legal twist, the judge at that trial, Frederic Block, altered the verdict at the 11th hour to make it merely a recommendation. 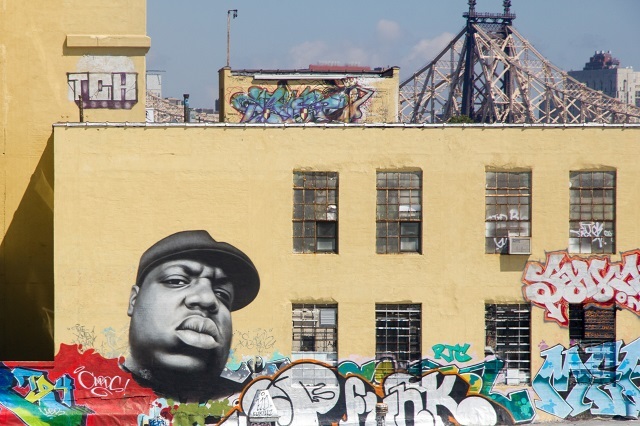 But on Monday, Judge Block upheld the jury's decision, and his ruling awarded the artists the maximum damages possible, saying that 45 of the dozens of ruined murals had enough artistic stature to merit being protected. The jury had found that only 36 of the works should be guarded under V.A.R.A. "Artist Akiko Miyakami said that when she saw her artwork mutilated under a layer of white paint, according to a court document, she felt as though she 'was raped,'" The Washington Post reports. I distinctly remember as a youth that painting over other graffiti artists' works was considered part of the art-form, which was viewed as "always evolving" and so on. Who thinks this is art worthy of protecting until the end of time? This sets the precedent now that vandals can go around tagging people's property and then sue anyone who covers it up.